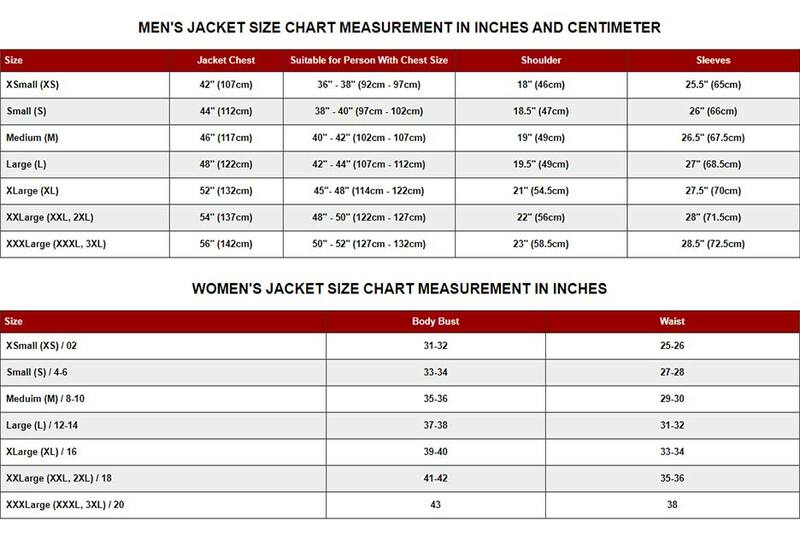 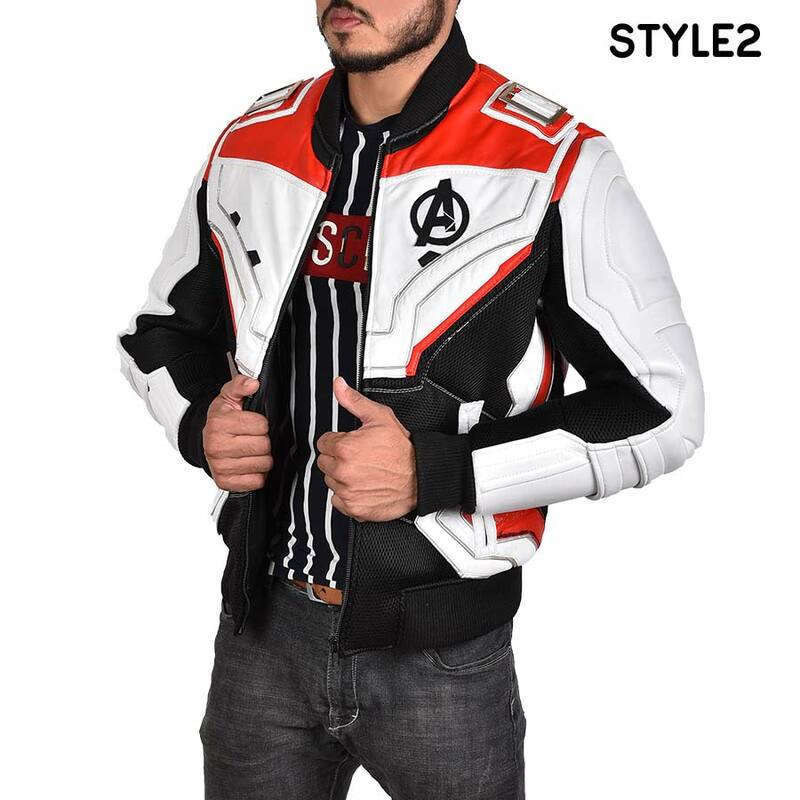 It is with great pride and honor that we present to you the never seen before style of a jacket. 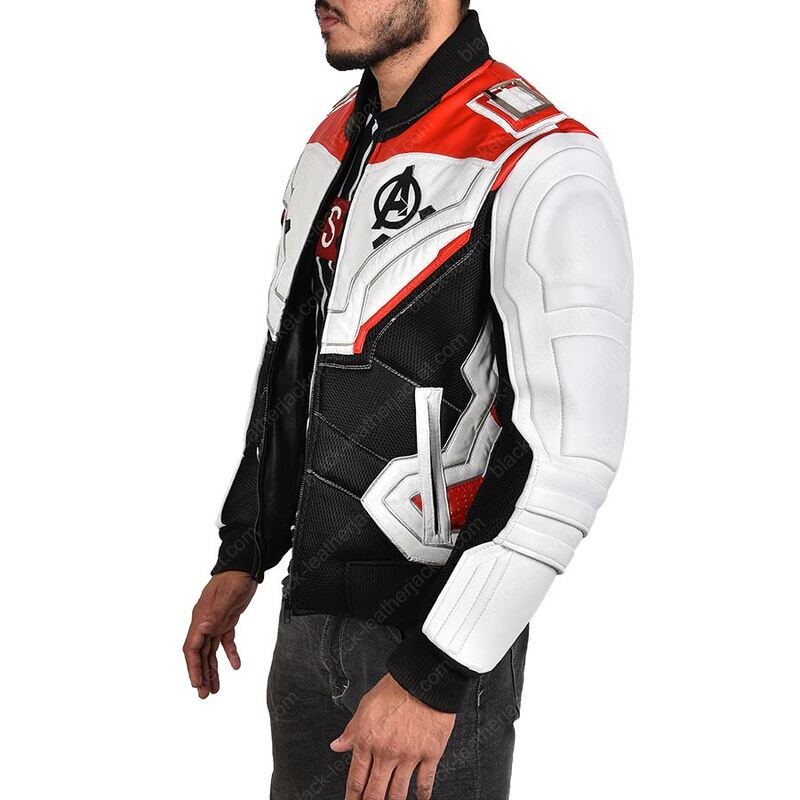 This is called the Avengers Endgame Quantum Realm Jacket. 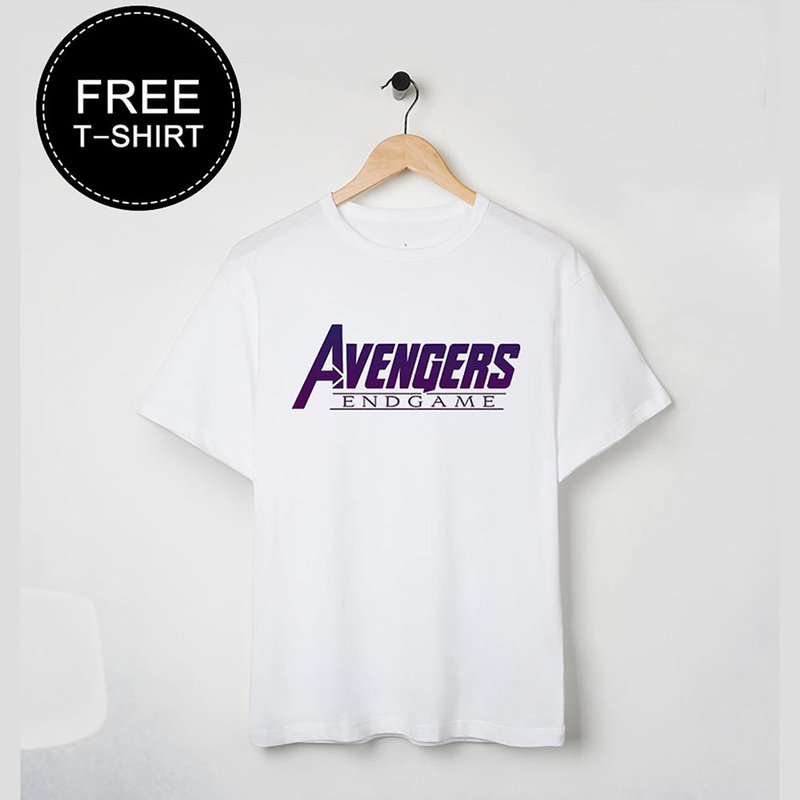 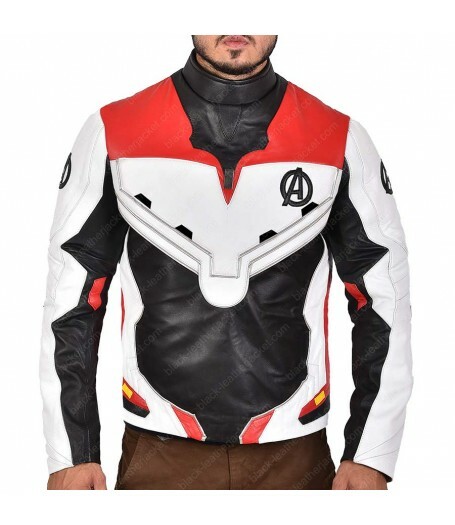 It is worn by the remaining members of the Avengers in Avengers: Endgame with the suit being termed as the Quantum Realm suits. 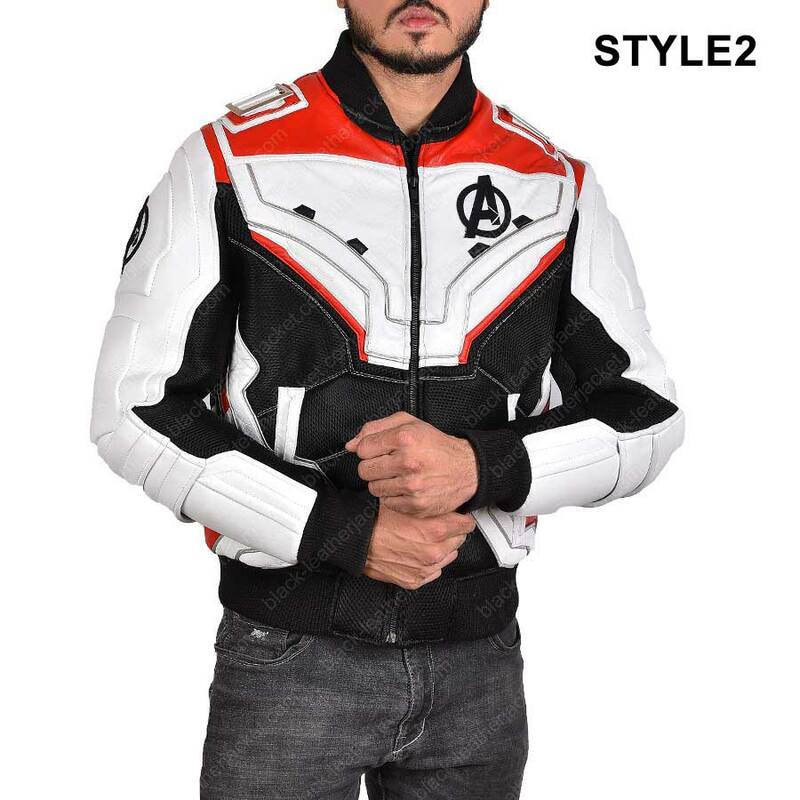 You will get a free cotton Endgame shirt when you’ll order this jacket. 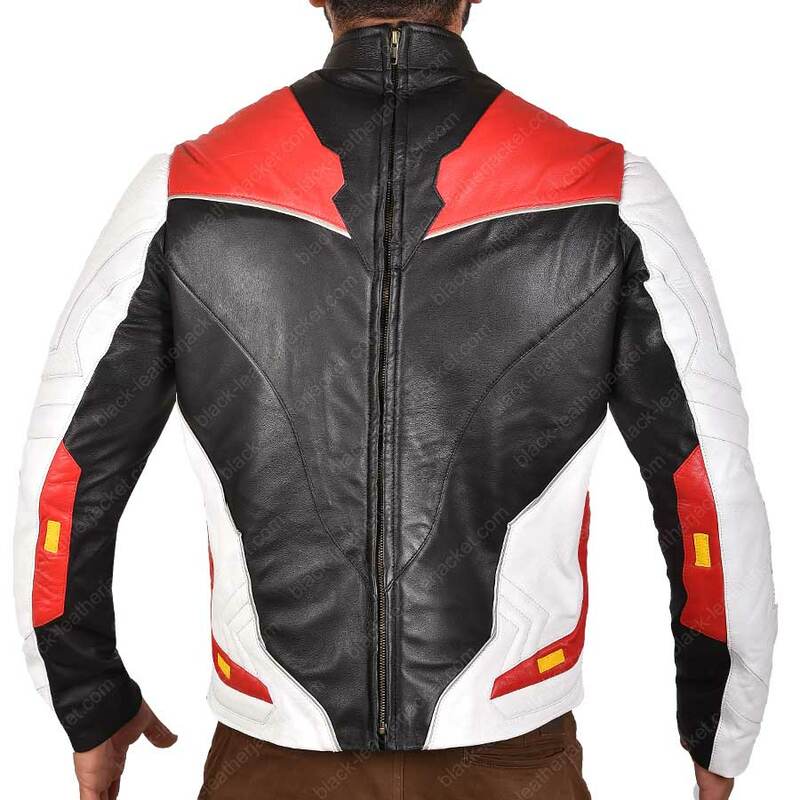 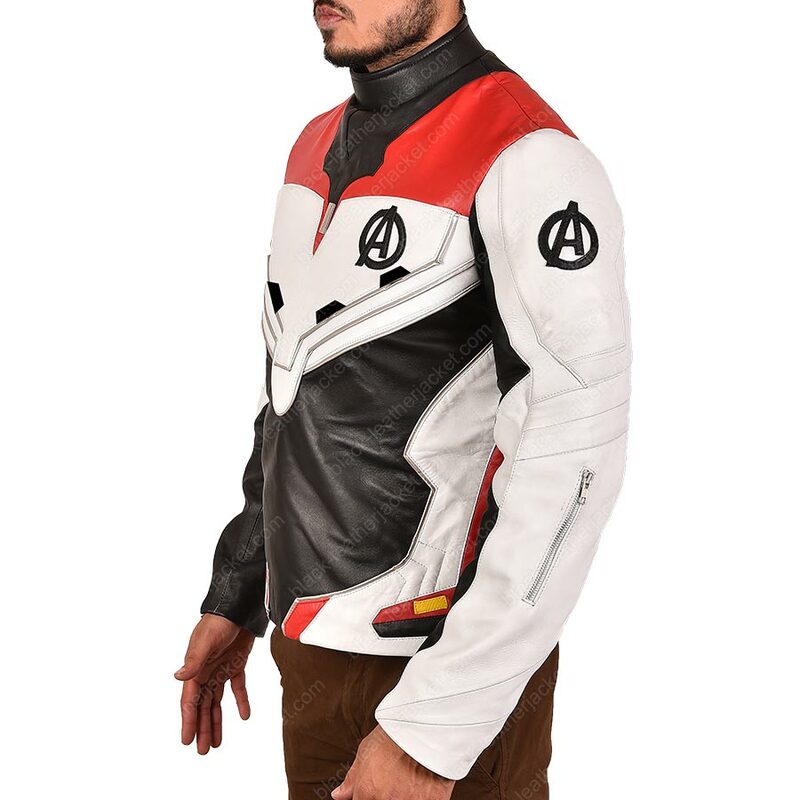 The Avengers Endgame Quantum Realm Jacket is made from real leather. 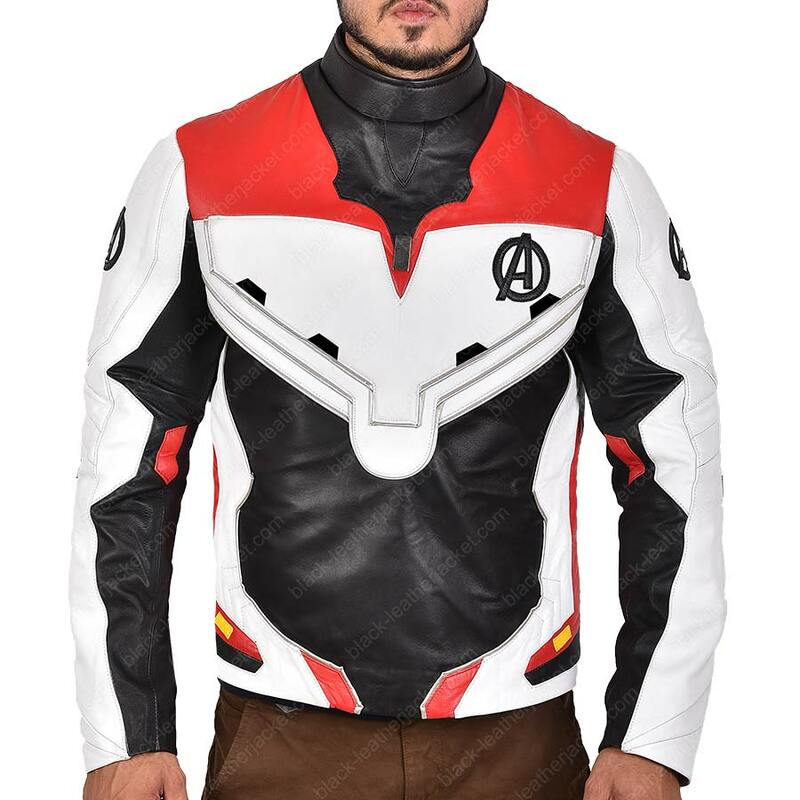 It has the Avengers initials as the logo for the sleeve and chest. 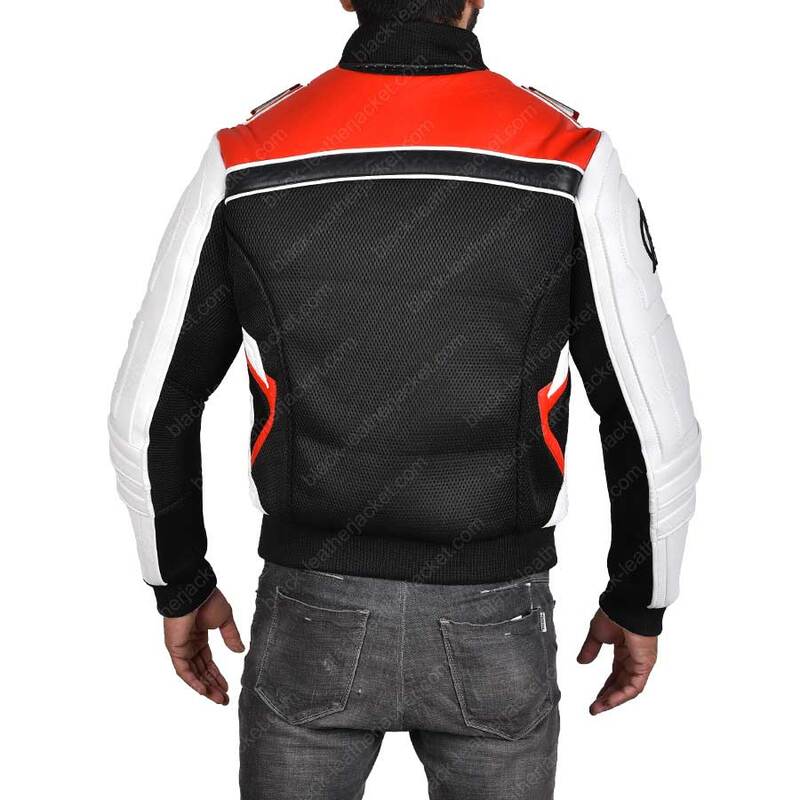 Instead of the zipper closure being on the front like a traditional jacket, we have stitched it on the back. 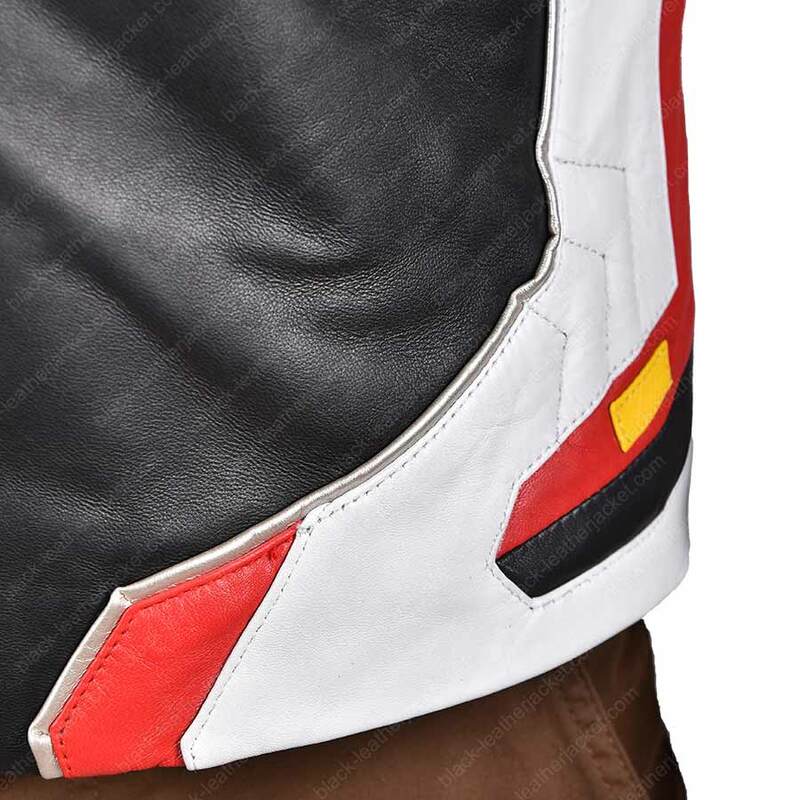 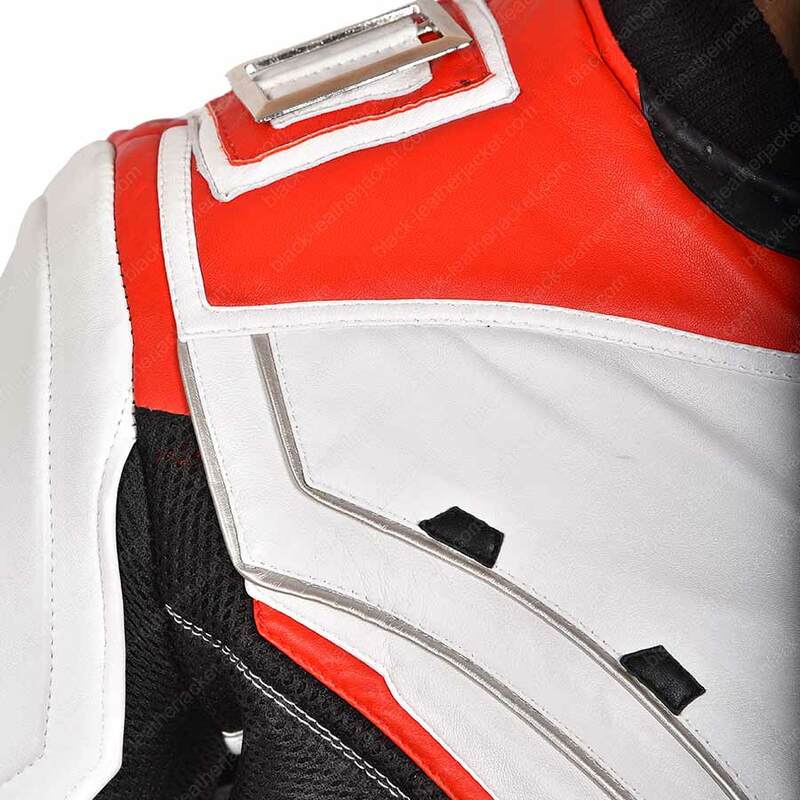 You will be able to use the pockets that have been featured on the sleeves.